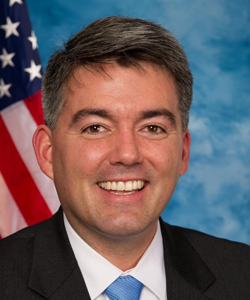 Senator Cory Gardner is a fifth-generation Coloradan who was born and raised in Yuma. He began serving in the Colorado House of Representatives in 2005 where he spent time as the Minority Whip and became known for his expertise in natural resource and agriculture policy. Cory was elected to the U.S. House of Representatives in 2010. As a member of the House Energy and Commerce Committee, Cory championed a true all-of-the-above energy strategy that promoted traditional resources as well as renewable energy. As Chairman of the Foreign Relations Subcommittee on East Asia, the Pacific, and International Cybersecurity Policy, Cory led the effort to impose broad new sanctions against North Korea, as the regime continues to be a leading abuser of human rights and its reckless advancement of nuclear weapons threatens our national security. He lives in Yuma with his wife Jaime and their three children: Alyson, Thatcher, and Caitlyn. Paul Marshall is Wilson Professor of Religious Freedom at Baylor University, Senior Fellow at the Hudson Institute's Center for Religious Freedom, Senior Fellow at the Leimena Institute, Jakarta. He is the author and editor of more than twenty books on religion and politics, especially religious freedom, including recently Persecuted (Thomas Nelson, 2013), Silenced: How Apostasy and Blasphemy Codes Are Choking Freedom Worldwide (Oxford University Press, 2011), Blind Spot: When Journalists Don't Get Religion (Oxford University Press, 2009), Religious Freedom in the World (Rowman and Littlefield, 2008). He is the author of several hundred articles, and his writings have been translated into more than twenty languages. He is in frequent demand for lectures and media appearances. Marshall holds a B.Sc. (University of Manchester), M.Sc. (University of Western Ontario), M.Phil. (Institute for Christian Studies, Toronto), M.A. and Ph.D. (York University, Toronto) with further studies in human rights at the University of Strasbourg, and theology and jurisprudence at Oxford. Travis Wussow serves as the Vice President for Public Policy and General Counsel at the Ethics and Religious Liberty Commission (ERLC). Travis led the ERLC’s first international office located in the Middle East prior to joining the Washington DC office. He received a B.B.A. in Finance from The University of Texas at Austin and a J.D. from The University of Texas School of Law. Prior to his tenure with the ERLC, Wussow served as executive pastor and general counsel for the Austin Stone Community Church in Austin, Texas, and prior to that served as a Fellow with International Justice Mission. 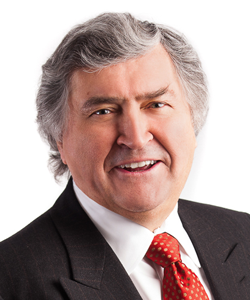 Wussow began his career at Jackson Walker LLP in Austin, Texas, the largest law firm in Austin. At Jackson Walker, Wussow represented clients in the energy sector, practicing administrative and legislative law before the state legislature and federal and state agencies. He and his wife, Katie, have two daughters. Eugene Yapp is the former Secretary-General of the National Evangelical Christian Fellowship, Malaysia. He holds a Bachelor of Laws from the University of London and a Masters in Christian Studies from the Malaysia Bible Seminary. 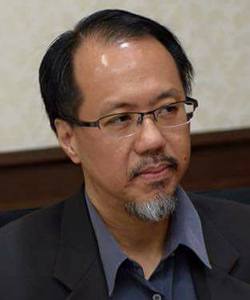 He was an Advocate and Solicitor of the High Court of Malaya for about 15 years during which time he was involved in religious liberty work before entering Christian ministry in a full-time capacity. Yapp currently works with Kairos Dialogue Network (KDN) which aims to deepen Christian-Muslim understanding at the grass-root level by talking about common religious issues of concern, following growing radical trends in religious discourse. "Kairos", a Greek word, means an opportune moment. Arriving in the United States in 1979 as a boat refugee from Vietnam, Dr. Thang graduated from Virginia Tech with a Ph.D. in Mechanical Engineering and worked for 13 years at a research lab in Bethesda, Maryland. He joined BPSOS in 1988 as a volunteer. In 1995 he launched an advocacy campaign that resulted in the resettlement of over 18,000 former boat people from Vietnam to the US. In 1997 Dr. Thang initiated a long-term effort to build capacity for the Vietnamese American community. He has since built BPSOS from a small, all-volunteer organization into the largest Vietnamese-American non-profit organization with operations in a dozen locations in the United States and in three Asian countries and a vast Vietnamese-language mass media network. Starting in 2010 he has rallied Vietnamese-American leaders across the country for a ten-year initiative to advance the Vietnamese American community in the government, business and social sectors. He has received numerous awards for his contributions to America, refugee populations, and human rights the world over.